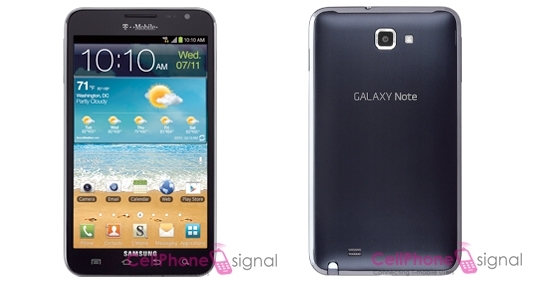 Looks like AT&T won't be the only carrier to have the Samsung Galaxy Note in the US for long. It seems T-Mobile too has plans to launch their very own version, according to Cell Phone Signal. The phone in question is said to launch on July 11 and will come with Android 4.0 Ice Cream Sandwich out of the box. If you have been holding out on the phone because it wasn't available on T-Mobile, your wait is about to be over. Don't think ICS is all that. Keep with gingerbread and don't be disappointed - like I was! !